AdventureSmart is a natinoal program dedicated to encouraging Canadians and visitors to Canada to "Get informed and go outdoors." The AdventureSmart program was created by the British Columbia Provincial Emergency Program with the assistance of the National Search & Rescue Secretariat, the Royal Canadian Mounted Police (RCMP) and the British Columbia SAR Association. AdventureSmart combines online and on-site awareness with targeted outreach to try and reduce the number and severity of Search & Rescue incidents. 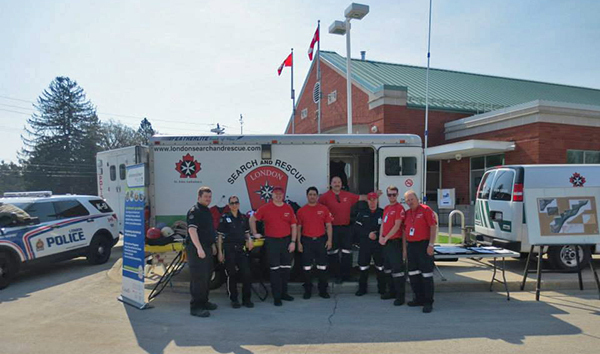 OSARVA has 1900 members who provide assistance across the province on ground and inland water Search & Rescue incidents. These skilled volunteers have partnered with AdventureSmart to deliver this key message in their local communities. including "Out of Bounds" hazards. There has been a drastic increase in popularity of recreational paddling. who want to paddle, and make them better paddlers. tips for safe travel and the 10 Essentials.